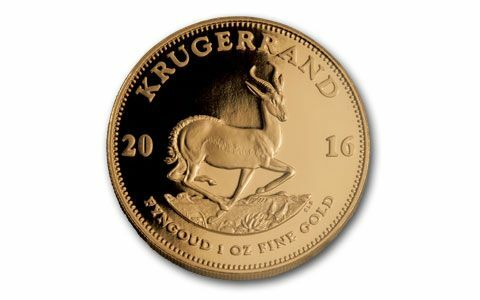 2016 First Releases Proof Krugerrands: The Gold World's Best-Kept Secret! 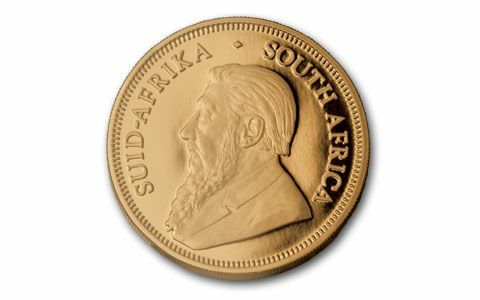 Over the years since 1967, the South Africa Mint has minted a small number of Krugerrands in dazzling Proof condition. Proof Krugerrands are 30 times more scarce than the regular Krugerrands! 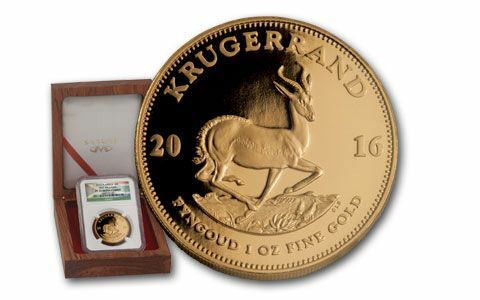 Even more scarce are these 2016 One-Ounce Gold Krugerrand Proofs graded by Numismatic Guaranty Corporation (NGC) perfect Proof-70 Ultra Cameo (PF70UC). 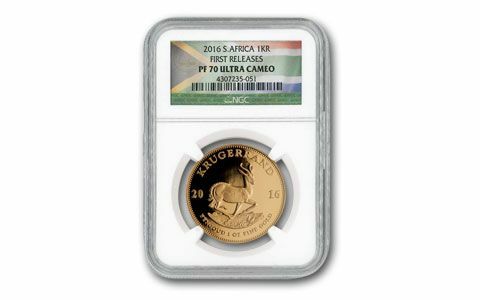 As a major distributor for the Mint, we were awarded the entire First Releases mintage. This is an exclusive offering for our customers only. Each is one-ounce of pure gold. They've been selling fast ever since they hit our vault. Luckily, we still have a small number for you to secure right now. 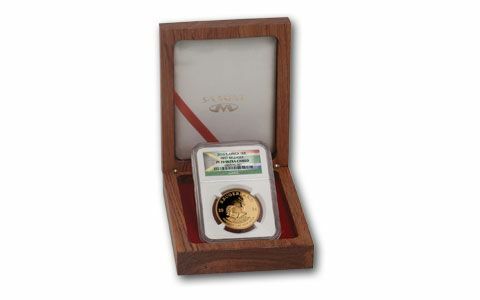 Comes in a wood presentation case with an individually numbered certificate of authenticity. But don't wait, when these dazzling proofs are gone, they may be irreplaceable.